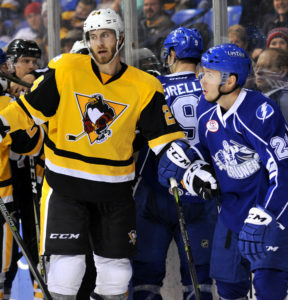 WILKES-BARRE, Pa. – The Wilkes-Barre/Scranton Penguins battled back to make things interesting, but still lost, 4-3, to the Syracuse Crunch at Mohegan Sun Arena at Casey Plaza on Saturday night. For the second game in a row, Wilkes-Barre/Scranton (12-4-0-1) trailed Syracuse by two goals heading into the third period. 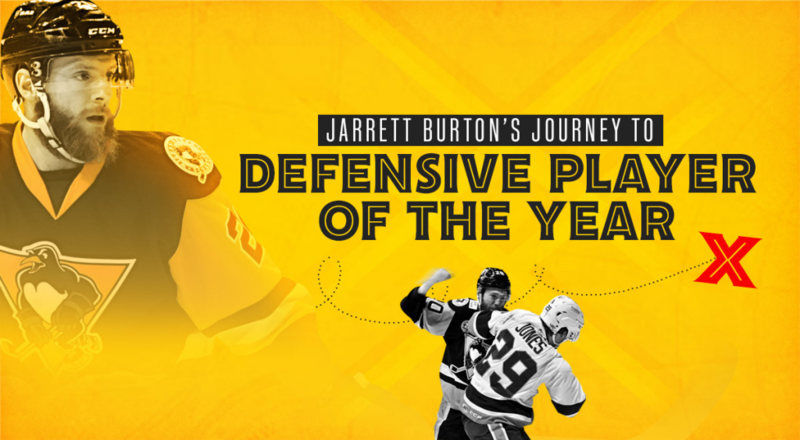 Just like the night before, the Penguins were able to slash their opponent’s lead down to one, but never find an equalizer. 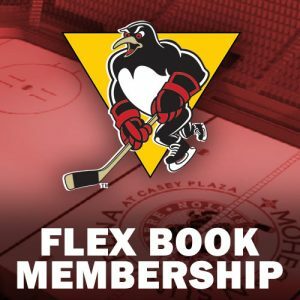 The Penguins wrap up the month of November with a 6-2-0-1 record, earning 13 points to maintain first place in the Atlantic Division. Syracuse scored first when Daniel Walcott scored his first goal of the season less than two minutes into the game. Wilkes-Barre/Scranton quickly fired back with two-straight tallies. Freddie Tiffels netted his first AHL goal at the 2:58 mark in the first period. Five minutes later, Teddy Blueger found the back of the net on a rebound of a shot from Ryan Haggerty shot, giving the Penguins a 2-1 lead. The Crunch evened things up, 2-2, with a power play goal with 2:32 remaining in the first period courtesy of Carter Verhaeghe. Syracuse broke things open in the middle frame, scoring their AHL-leading seventh shorthanded goal at 10:56 of the second period. Michaël Bournival’s second shorty in as many days against the Penguins put the Crunch back in the lead before a Matthew Peca breakaway made it 4-2 with 3:10 on the clock in the second period. At the 12:45 mark of the third, Frank Corrado rifled a slap shot from the blue line past Connor Ingram, pulling the Penguins within striking distance. 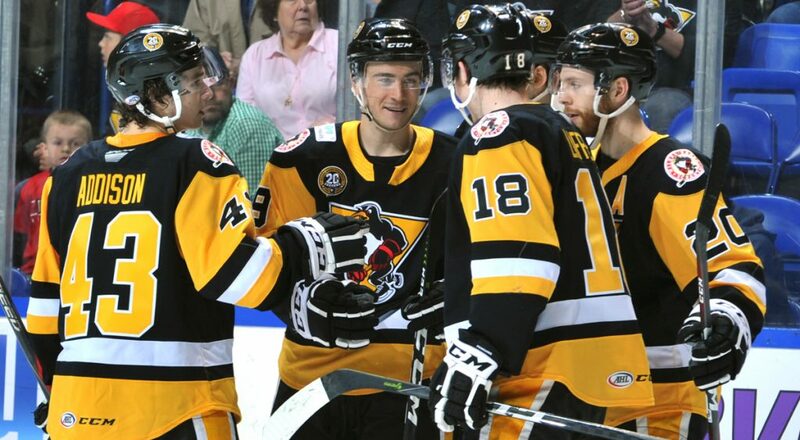 With the goalie pulled in favor of an extra attacker, Wilkes-Barre/Scranton had a series of good looks at Ingram, but all attempts were foiled and the Penguins lost to Syracuse for the second game in a row. 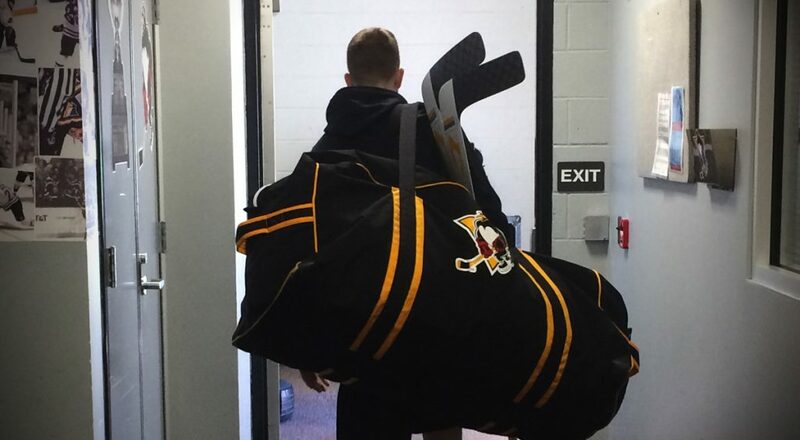 Casey DeSmith stopped 21 out of the 25 shots he faced and lost consecutive games for only the second time in his AHL career, falling to 9-2-1 this season. Ingram recorded 30 saves for his first victory since Oct. 21. 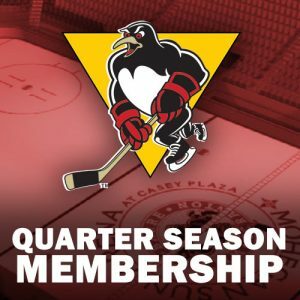 The Penguins’ next game is Friday, Dec. 1, when they welcome the Milwaukee Admirals to Mohegan Sun Arena at Casey Plaza. Puck drop between the Penguins and Admirals is 7:05 p.m. and marks the return of WBRE/WYOU Eyewitness News Fan Fridays. All tickets for Friday’s game against Milwaukee are $14 and select draught beers are $2 from 6:00-7:30 p.m. Individual tickets for all Penguins home games are available at the Mohegan Sun Arena at Casey Plaza box office, online at TicketMaster.com, or by calling 800-745-3000. 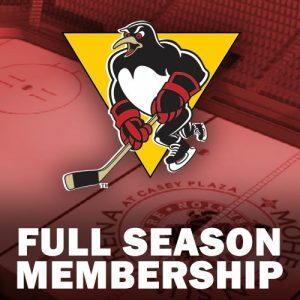 Season ticket packages for the 19th season of Wilkes-Barre/Scranton Penguins hockey, including full season, 22-game, 12-game and Flexbook plans, are available by contacting the Penguins directly at (570) 208-7367.